Selbstbildnis von vorn. Sign. Orig.-Holzschnitt von K. Kollwitz. Kaethe Kollwitz Griffelkunst und Weltanschauung. Ein kunstgeschichlicher Beitrag zur Seelen- und Gesellschaftskunde. Dresden, Emil Richter Verlag 1923. 4to. Mit 1 signierten Orig.-Holzschnitt. 70 S. u. 54 Abb. Orig.-Pergamentbd. mit Rückentitel u. Deckelillustr. Chicago IL: Honest Truth Publishing, 1923. First Edition. Hardcover. Fine. 192 pp, ill with reproductions of documents and African photographs taken by the author. Author looks at why news came out of Africa, the Roosevelt hunts, and strenuous thinking in the wilds. Looks at the great work done by TR after he left office and responded to the call of the wild. A very rare item, printed by a most obscure publishing company. Have never seen a copy for sale before. This copy with the engraved bookplate of Henry Cabot Lodge and the business card of the author inside front cover. In fine condition. A great find for the TR collector. New York: Charles Scribner's Sons,, 1923. Octavo. 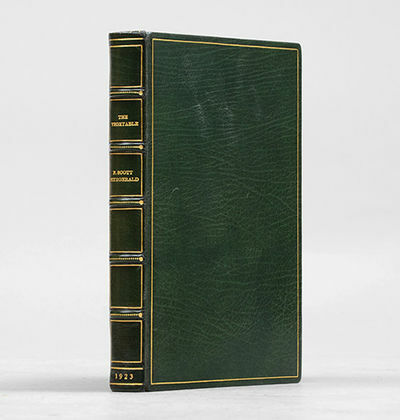 Finely bound by The Chelsea Bindery in dark green morocco, titles and decoration to spine, raised bands, single rule to boards, inner dentelles, marbled endpapers, gilt edges. A fine copy. First edition, first printing. Ryback, Issachar (alternative transliteration: Yisakhar) Ber. Mayn Khorever Heym: A Gedekhnish. (Alternative transliteration: Mayn Khoreve Heym: A Gedenkenish). Title from cover: Shtetl. Ryback. 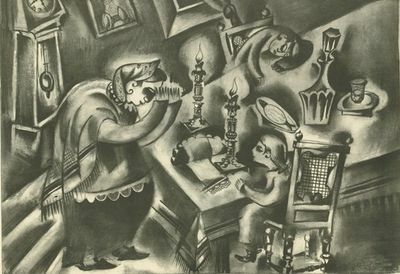 Lithograph half-title and title, list of images (all in Yiddish), and 29 additional full-page lithographs portraying personal memories of life in the shtetl, conveyed in images, reminiscent of Chagall but with a more somber and tragic sentiment, that show influences of Cubism, Expressionism, and Constructivism, with asymetrical designs, exaggerated facial features and other progressive aesthetic concerns, incorporating and transforming prototypical images of Jewish life in rural Eastern Europe. Some very mild foxing and some mild browning of paper, otherwise a fine copy. Oblong folio. Boards with title and striking image on front cover. Berlin (Schwellen) n.d. (1923). Paris Delagrave 1923 - 1924. 11 volumes petits in - 4 reliés demi - basane fauve à coins de l'éditeur. Dos à nerfs, très ornés à motifs dorés, pièce de titre et de tomaison. Têtes dorées. Double filets dorés sur les plats. Chaque volume environ 370 pages. Edition définitive illustrée de planches photos sous serpentes et de dessins dans le texte. Bien complet du 11° volume par le Docteur G.V. LEGROS "La vie de Jean Henri FABRE naturaliste suivie du répertoire général analytique des Souvenirs entomologiques" et qui manque souvent. Légers frottements aux reliures sans gravité. Très bon ensemble. McClurg, 1923 Chicago: A. C. McClurg & Co., 1923. Octavo, pp. [1-10] 1-322 [323-236: blank] [note: first and last two leaves are blanks], four inserted plates with illustrations by J. Allen St. John, one map, original red cloth, front and spine panels stamped in black. First edition. 10,000 copies printed. 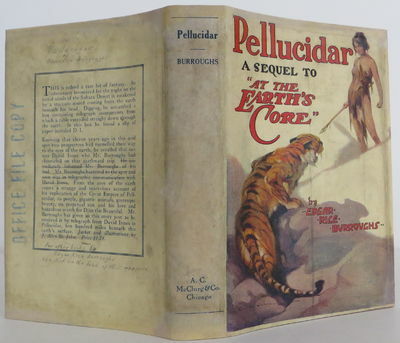 Second book of the Pellucidar series. Anatomy of Wonder (1976) 2-20. Bleiler, Science-Fiction: The Early Years 312. Clareson, Science Fiction in America, 1870s-1930s 113. Survey of Science Fiction Literature IV, pp. 1665-68. Bleiler (1978), p. 35. Reginald 02303. Heins P-1. Anearly fine copy in a very good four color restored dust jacket. This is a file copy from Grosset & Dunlap, showing some pencil editing on jacket preparing it for the G&D version, and the top edge and jacket are stamped office file copy. Laid in is a brief notice from the Burroughs Bulletin discussing the provenance of this book. Housed in a custom-made collector?s slipcase. $7,500.. 1st Edition. Hardcover. Near Fine/Very Good. London: Thornton Butterworth Ltd.,, 1923?31. [Vol. I: 1911?1914; Vol. 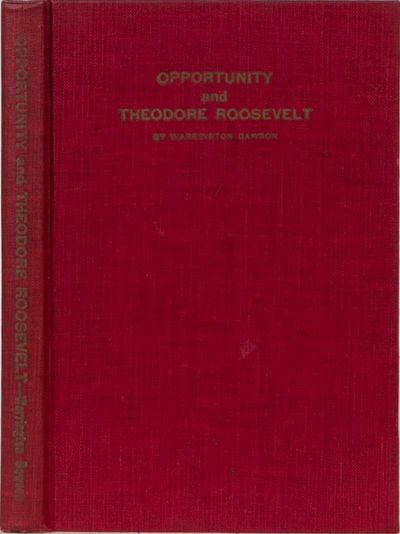 II: 1915; Vol. III?IV: 1916?1918; Vol. V: The Aftermath; Vol. VI: The Eastern Front.] 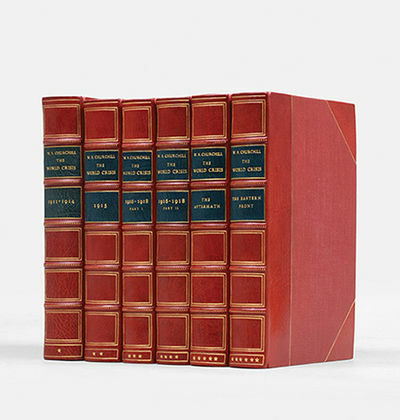 5 volumes in 6, octavo (223 x 150 mm). 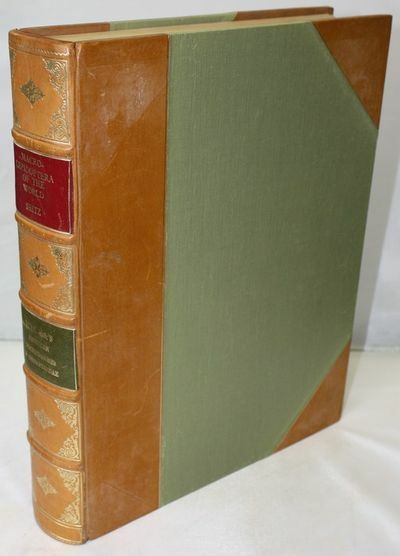 Finely bound by Maltby's of Oxford in mid-20th-century red half morocco, twin blue-green morocco labels, raised bands with dotted rule gilt, compartments panelled in gilt, red cloth sides, top edges gilt, marbled endpapers. Illustrated throughout with maps and charts (many folding). 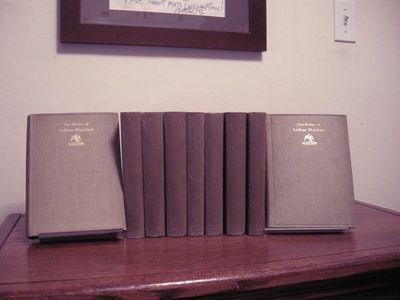 Volume I with different endpapers to other volumes. The occasional spot to contents. A handsomely bound set in excellent condition. First editions, first impressions. Working with astonishing speed and energy, Churchill produced this mammoth history of the First World War in the aftermath of electoral defeat. The work deals with his reorganization of the Royal Navy in the years leading up to the War, defends his Gallipoli policy, and criticises Haig's strategy. "Although parts of The World Crisis were highly autobiographical, drawing on documents from Churchill's private papers, the book as a whole was a stupendous narrative of the war in Europe featuring masterly set-piece accounts of major battles. Dictated to secretaries as he strode up and down the room, it exhibited his passionate interest in war and his romantic conception of the 'true glory' of the troops who perished on the Somme" (ODNB). In aim and method, it foreshadows his Second World War: together they form the single most important and authoritative grand narrative of the conflicts of the twentieth century. New York: J. F. Tapley Co., 1923. First Edition. Softcover. Very Good-. 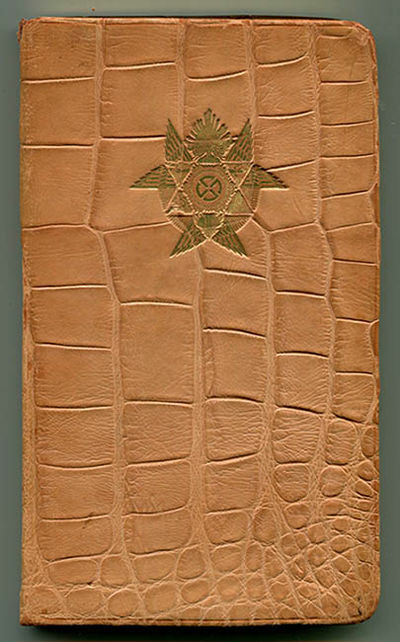 329pp; Light brown limp leather (simulated alligator) with gilt stamped emblem to front, leather cracking at spine, original silk endpapers, rice paper pages, all edges gilt, gilt titling to title page, gilt to illustrations, gilt stamped decorations and words to text, slight wrinkling to a few pages, ribbon bookmark detached but present, text unmarked, binding is sound, VG- condition. Unusual, unique and gorgeous vintage metaphysical publication. Contains seven lessons in the "science of being." 1. The Absolute (Spirit); 2. Life Energy (I); 3. The Relative (Matter); 4. Life Energy (II); 5. Laws, Absolute and Relative; 6. Mind Force; 7. Spiritual Power. Chapters include: The Great Principle; The Pyramid of Life; The Five Statements of Being; Vibrations; The Mental Contact; The Star Exercise; Use of the Magnetic Force in Ancient and Modern Times; The Origin of Matter; Incarnation of Soul in Matter; much much more. Illustrated by Malcolm Thorburn. London: Hodder & Stoughton, 1923. Vellum. Near Fine. Thick quarto, full vellum with gilt-lettering, rules and coat-of-arms. A bright, remarkably clean, Near Fine to Fine copy. Small, elegant former owner name at the limitation, just the slightest hint of light foxing along several pages, otherwise virtually pristine. #28 of 250 copies and a very handsome book thus. Top-edge gilt, deckled fore and bottom edges. Numerous illustrations thruout, including thirteen color plates. London and Cambridge: Curwen Press and Cambridge University Press, 1923-1930. Hardcover. Very Good +. A complete run of arguably the greatest English typographical and fine press journal, all deluxe edition copies, all on Batchelor Kelmscott handmade paper. The paper in these deluxe editions is wonderful, all volumes here completely free of foxing. This is a very fresh set in cloth bindings that have some wear (see description). Volumes 1-4 were edited by Oliver Simon, volumes 5-7 by Stanley Morison. This set has been carefully collated: absolutely every extra and insert is present, including the signed works by Eric Gill and David Jones (both true fine). 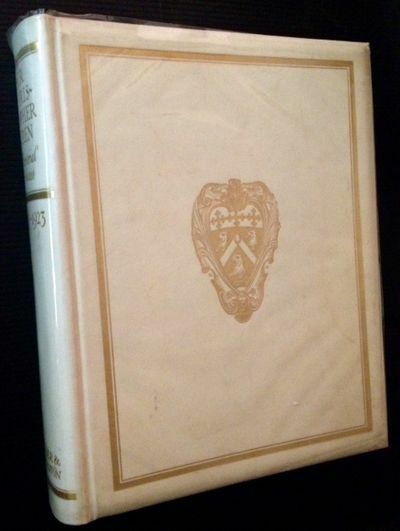 Volume 1: deluxe edition printed on Kelmscott handmade paper, with all the extras, original series prospectus laid in (worn), errata slip, no dustjacket as issued. Black buckram cloth binding is VG-: worn with splits in the upper gutters, small chips, spine a little wobbly but solidly attached, still pleasant to use, titles clear. Contents are excellent: TEG, others untrimmed. First five leaves have a single tiny dot of glue or something organic in the margin, only notable because the contents of this (and all the volumes) are completely without foxing, very fresh. Volume Two: small chip to top of spine, a little wear to the bottom edge of spine, otherwise solidly VG, nice tight binding, full black cloth. TEG, other untrimmed, no dustjacket as issued. Contents completely fresh and clean: very small PO bookplate on inside blank, no foxing, just beautiful paper. All extras and paper samples present. A single sample of Rizzi paper is loose from its mount but still fine. Volume 3 binding tight, nice solid VG+ (little wear to the bottom yapped edge of spine), small PO book plate and the remnants of another (which could probably be completely removed), no dustjacket as issued. Contents fresh, again no foxing. There is a lovely gravure photograph of Updike and print samples that include a Paul Nash extra from Genesis. Volume 4: binding tight, couple of minor scuffs, solid VG+, small PO bookplate, no dustjacket as issued. Contents lovely, all extras present. Volume 5: Binding strong VG+, contents near fine, all extras present, including the 12 page insert Eulogy of Pierre Simon Fournier le Jeune. DJ is a solid VG. 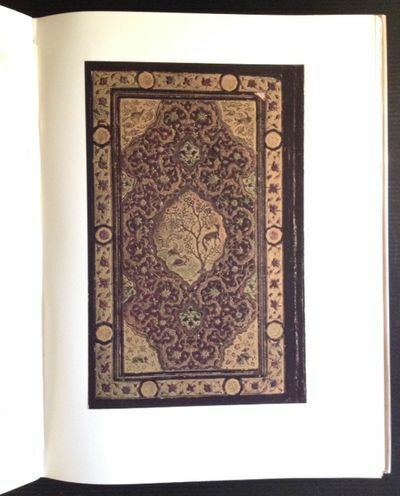 This is the first volume edited by Morison, with patterned endpapers and substantially more extras than in the first four volumes. There are no bookplates or signs of previous ownership. Printed on Batchelor Kelmscott handmade paper, which is still white and gorgeous. Volume 6: The Fleuron started to escalate with volume 5 and became really over-the-top with Volume 6. Here the extras include a sample from David Jones' rare Aesops Fables, signed by Jones. Again, the edition is on handmade paper, no foxing at all, contents uniformly fresh. Binding is a strong VG: bottom front corner bump resulting in cloth splitting on the bottom edge, does not affect contents, spine looks sharp, binding tight, no DJ (as I recall, the DJ merely repeats the cloth pattern). Patterned endpapers, no bookplates. All extras (and there are many) present. 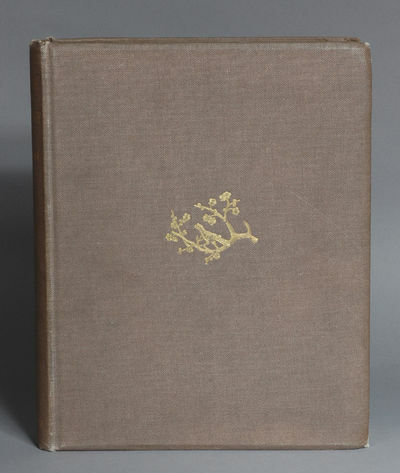 Volume 7 (1930): The Fleuron's largest and most extravagant number: binding strong VG: spine faded to a neat brown, spine titles still nice and sharp, small bookplate on plain front pastedown, lacking the plain brown DJ. The extras include Eric Gill's Passion of Perpetua and Felicity insert (32 pages, wood engravings, signed by Gill). This deluxe edition is again on handmade paper and is signed by Stanley Morison. This volume includes the first printing of Morison's classic essay, "First Principles of Typography," an essay by Jan Van Krimpen on typography in Holland, and specimen pages from Officina Bodoni. The combination of scholarship and skill on display in these volumes is second to none. As a set, this is one of the great fine press achievements of the twentieth century. 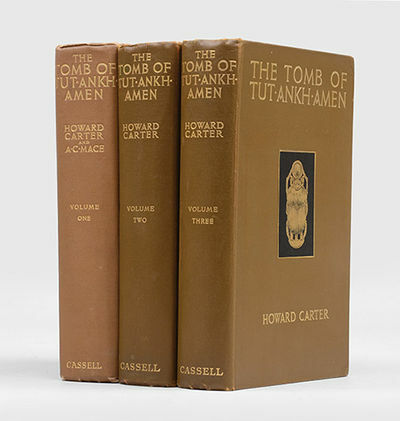 Note that all volumes are preserved in custom slipcases that are hard cardboard with flueron designs on the top boards. These are amateur slipcases but they've done a fine job of protecting the deckled edges from soiling. Also included is a VG copy of the later Flueron anthologiy in DJ, also housed in a matching slipcase. Bambi. Eine Lebengeschichte aus dem Walde. Berlin, Germany: Verlag Ullstein, 1923. 1st . Hardcover. Very Good/No Jacket. 5.75" x 8.5. H/B 187 pages, Plus 4 pages of publishers advertisements. Text in German. Illustrated initial letter to each chapter. Condition - A very good copy of this extremely RARE book. Corners and top and bottom of spine slightly bumped, pages slightly tanned around edges, minor spotting to paper covered boards. A small inscription to the top of the flyleaf, (see photo). 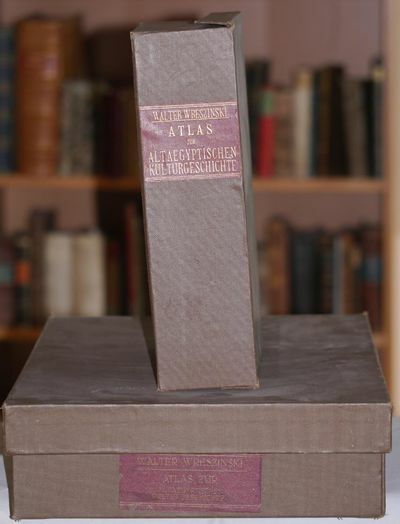 The first edition of this work was issued in Germany shortly after the end of the First World War on very poor, brittle paper in a cloth spine and paper covered boards. Born Siegmund Salzmann on 6th September, 1869, died 8th October, 1945. A Hungarian Jew who's family moved to Austria. 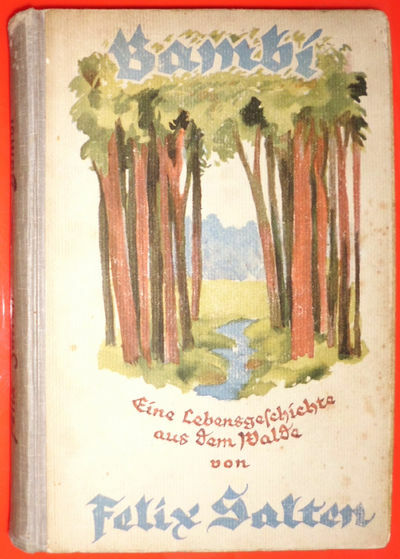 First published in Germany in 1923 as "Bambi. Eine Lebengeschichte aus dem Walde, (Bambi - A life history from the forest). Banned in 1936 by Hitler, many copies were burned. Salzmann fled to Switzerland. the book was republished in 1926 with copyright notices. Used; Like New/Used; Like New. 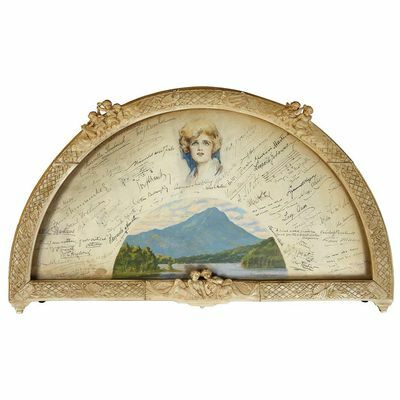 An extraordinary carved ivory fan-form tabletop frame, circa 1923-24, measuring 12 3/4 inches high by 22 inches (31 x 56 cm) wide, containing a semicircular sheet of vellum, with a watercolor painting by J. Campbell Phillips, depicting a mountainous landscape and a portrait of opera singer Maria Jeritza, together with numerous autographs of musical and literary figures, including Sergei Rachmaninoff, Arturo Toscanini, Ignaz Paderewski, Leopold Auer, Efrem Zimbalist, Franz Kneisel, Ignaz Friedman, Alfred Hertz, Alexander Siloti, Wilhelm Mengelberg, Myra Hess, Clarence Adler, Charles J. Rosebault, Wilhelm Backhaus, David Belasco, Walter Damrosch (with a musical quotation), Augustus Thomas (with quotation), Sigmund Spaeth, A. Siloti, Harold Bauer, Benno Moisevitch, Victor Herbert (with a musical quotation), Jacques Thibaud (with a musical quotation), Leopold Godowsky, Giovanni Martinelli, Josef Hofmann, David Lloyd George, Arthur Bodansky, Josef Stransky (with a musical quotation), Pasquale Amato, Channing Pollock (with quotation), Minnie Maddern Fiske, Ossip Gabrilowitsch, Moritz Rosenthal, Vladimir de Pachmann, Marcella Sembrich, John Erskine, the London String Quartet and others, approximately 50 signatures in total. Minor wear and soiling, a most interesting artifact. The frame requires a key (not present) to safely open it and thus the fan has not been removed from or inspected out of the frame. London: Chapman & Hall,, 1923. Octavo. Original blue cloth, title to spine and front cover blue. 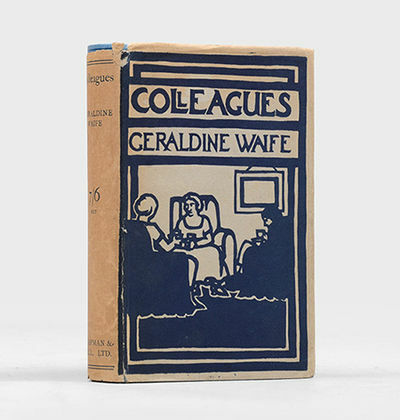 With the dust jacket designed by Evelyn Waugh. Spine slightly faded, minor foxing to edge of text block. An excellent copy in the toned jacket with a little minor loss to head of spine and nicks to foot. First edition, first impression. Scarce in the dust jacket, which was designed by Evelyn Waugh. Max Liebermann. Sein graphisches Werk. (3. Auflage). Leipzig, Hinrichs 1923 - 1935.. 2 BÃ¤nde. Kassette 1: 3 Bll., 6 geheftete Bll. Tafelverzeichnis und 424 Tafeln; Kassette 2: Textbuch mit 46 S.; 235 (st. 236; fehlt Nr. 7; Nr. 152 ist nicht erschienen) meist gefalt. Tafeln, num. 1 - 202 und 35 a, b, und c Nummern. Lose in OLwd.-Kassetten. 31 x 23 cm und 31 x 45 cm. Monumentales Werk des bedeutenden Ã„gyptologen und Professors an der Albertus-UniversitÃ¤t KÃ¶nigsberg, Walter Wreszinski (1880-1935). Es erschien noch eine 3. Sammlung, die aber durch den Tod Wreszinskis fragmentarisch blieb. Die kleinere erste Kassette wird ab und an auf dem Antiquariatsmarkt angeboten, die groÃŸe 2. Kassette ist dagegen ausgesprochen selten. - Beiliegen diverse ErgÃ¤nzungsbll., Nachrichten vom Verlag, ÃœbersichtsblÃ¤tter der einzelnen Lieferung, sowie die groÃŸen, kartonierten LieferungsumschlÃ¤ge. Insgesamt sehr gut erhalten. Plakat - Der Feind steht im eigenen Land, sagt Euch mit Karl Liebknecht die Kommunistische Jugendinternationale. L´ennemi se trouve dann votre propre pays, vous dit avec Karl Liebknecht, L´Internationale Communiste des Jeunes.. Lithographie. 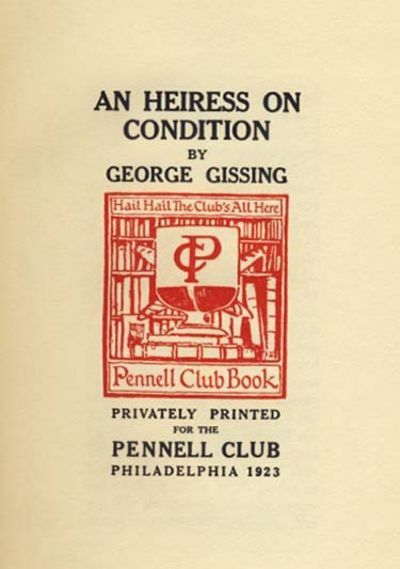 Philadelphia: Privately Printed for the Pennell Club, 1923, 1923. 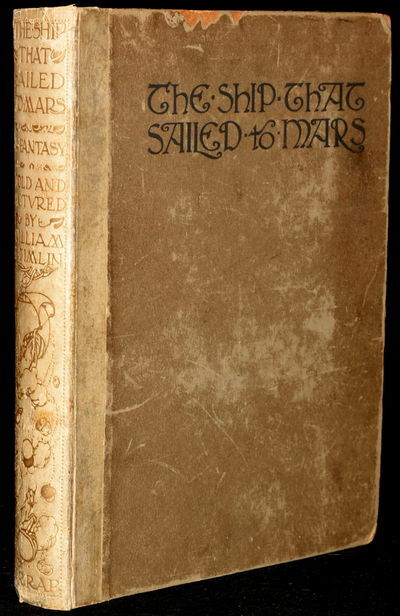 First edition, number 21 of 48 numbered copies; however, there appear to have been a few "unnumbered" copies issued, and that is supported by OCLC, which alone records 40 locations of this title. NCBEL III, 1001; not described in Collie, though noted on page xiii. Edges slightly rubbed; fine copy.. 4to, original blue quarter cloth, blue-gray paper boards, gilt lettering. Vignette title-page by Joseph Pennell of the Pennell Club's logo. A short story by Gissing written in 1880, but originally rejected by publishers and then neglected until it was unearthed by a Gissing collector, who arranged for this fine press edition in 1923. Washington DC, New York, Pennsylvania. 1923-1932. Oblong quarto. Measuring 7" x 11". String-tied red leather over paper boards with "School Day Treasures" stamped on the front cover. 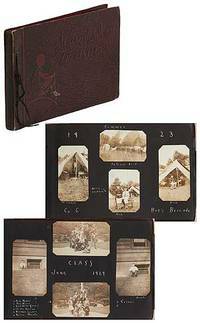 Contains 88 sepia toned gelatin silver and some black and white photographs measuring between 2" x 3" and 2.5" x 4", most with captions. Very good album with some creasing, tears, and edgewear with near fine photographs.A boy's album kept between 1923 and 1932 during various events and schooling. The album begins in 1923 when the album owner attended a Citizens Military Training Camp. The photos show young boys in tents and "dress uniforms" performing "fatigue drills" and showing the boys standing in a line awaiting orders. From there it switches to a 1927 trip to Washington DC where they spent the summer at Fort Washington U.S. Military Training Camp. When off duty they saw the DC highlights such as the Washington Monument and the Capitol Building and even toured the District from the air in a plane. His college days are captured throughout, because of his job as an usher at the Carnegie Music Hall it is likely he attended Carnegie Mellon University in 1929. During the summer of 1929 he worked at a hotel in Lilydale, New York where he spent "most of [his] spare time in this canoe." These photos show pretty girls posing in bathing suits, boys working at the boathouse, and performing handstands on the beach. In 1931 he lived on Pelug's Farm at a campsite - he includes a hand-drawn diagram of the grounds later in the album. It isn't clear if he was working there but it seems probable. He took photos of his friends posing around the farm, animal life, and people swimming in the "ye olde swimming hole. "An interesting collection of a young man's youth from childhood to young manhood, exhibiting his ties to the military and his early jobs. .
Benn Brothers Limited, London, 1923 Book. Good. Hardcover. 1st Edition. 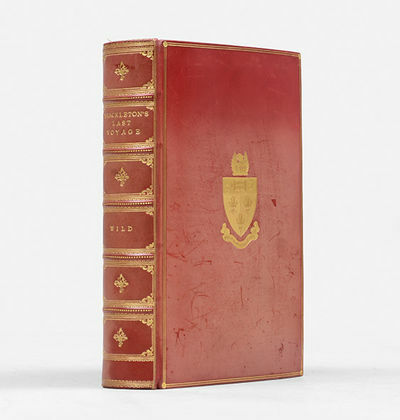 English text; Hardcover (brown cloth with gilt lettering to spine and gold motifs on the front cover); 23.7 x 29 cm; 2.219 Kg; 240 pages with 128 illustrations of which 11 are in colour. All tissue guarded. ; Limited edition of 1500 copies of which this is 365. Includes bookplate of Hilda Wynnefred Fitzwilliams Greatford; Edgeworn. Signs of wear on the front cover, spine and back cover. The spine has a small crack. The interior is in good condition with minor signs of wear. Hinges cracked. Hardcover cloth now protected with a clearcover. ; First monograph on Ming wares. ; "The purpose of this book is to explain and illustrate as many varieties of Ming as possible. The text is based primarily on information obtained from Chinese sources and the occasional notes made by Europeans who visited China in the Ming period. To this must be added the deductions which can be made from the study of well-authenticated specimens, and, of course, the valuable work enshrined in the books which are mentioned in the bibliography. The first twelve chapters are occupied almost exclusively by the porcelain of Ching-tÃª ChÃªn; the next four by the porcelain and pottery made at other centres. For the convenience of printing, all the Chinese characters have been collected together in the final chapter, to which reference is made in each case." excerpt from the preface by R.L. Hobson, January 1923..
Kegan, Paul -London, 1923. Original Cloth. Collectible; Fine/Fine. A very attractive copy of the 1923 1st edition, IN THE SCARCE ORIGINAL DUSTJACKET. #123 of 550 copies issued. Clean and Near Fine in its terra cotta cloth. And in a crisp, bright, VG+ to NF dustjacket. Folio, 167 pgs. Also includes publisher's slipcase, which is sturdy and VG-. An impressive copy. London: Martin Secker. Very Good. 1923. First Edition; First Printing. Hardcover. Complete in nine volumes. Signed by Machen on the recto of the colophon page in Volume One. 500 numbered sets were printed for England, and 500 for America. This is set number 91. Frontispiece portrait of Machen in Volume One with the tissue guard intact. Top edges gilt, with the lettering on the spines faded. The gilt stamping to the front boards is still legible. Foxing to the endpapers. The volumes show light rubbing and dust soiling, with mottling to the front board of Volume Four. Many leaves in each volume are uncut and unopened. A clean set, lacking the scarce dustwrappers. Additional postage may apply. ; Signed by Author . THE WORKS OF ARTHUR MACHEN. 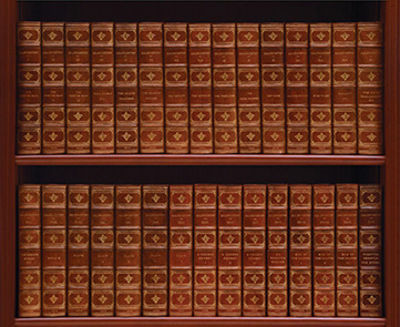 (9 VOLUMES) The Caerleon Edition. Stuttgart: Fritz Lehmann, 1923-1931. 2 vols: (iv), 412; (ii), 144, 104 col plates. 4to. HB. 4to, 2 vols bound in 1, qtr calf, gt, a few light scuff marks, raised bands to spine, gt tooling to compartments, leather title-pieces, teg. Plates clean. Vg copy.. English edition. All published. Fine chromolithographic plates - Vol. 7 with 87 plates numbered: 1-49, 55-83, 85-86, 88-91, 93, 94, 96; Vol 8 with 16 plates numbered: 1-15, 17. 'Missing' plate numbers were never published. Includes title page to vol. 7 and provisional title page to vol. 8..
Tableaux Parisiens. Deutsche Übertragung mit einem Vorwort über die Aufgabe des Übersetzers von Walter Benjamin. Franz.-Deutscher Paralleltext. Small 8vo., original heavy grey wrappers. With front cover and title-page illustration from a wood engraving by David Jones and a single wood engraving by Gill. The engraving is a preliminary study for Gill's relief sculpture entitled "Christ and the Money-Changers" and was the image used for the War Memorial Gill designed for Leeds College.. Wrappers slightly browned otherwise a very good copy. First edition. This pamphlet is Gill's explanation of the work, in which he "commemorates the most just of all wars -- the war of Justice against Cupidity." With the bookplate of Michael Gerveys Sewell. Michael Gerveys Sewell, later Father Brocard Sewell, left school at 16 and found work as a general factotum in the London Office of ?GK?s Weekly?, the paper founded by GK Chesterton. Here he met writers, thinkers and artists. Among the many were, the printer and writer Hilary Pepler, a Quaker who converted to Roman Catholicism, Henry Williamson, the writer of Tarka the Otter and more controversial books, and Arthur Machen, a ?black-arts? writer. After he left GK?s he went to join the Eric Gill?s artistic community at Ditchling in Sussex. In that Catholic community he found an emotional haven and professional direction, and stayed for five years working as a compositor. London: George G. Harrap & Company, 1923. First Edition. Vellum Binding. Very Good binding. Folio. Backed in vellum with paper over boards; illustrated title blocked in gold on the spine; all 48 illustrations and 48 calligraphic plates are present. NOTE: one of the plates -- No. 40, The Forest Fairies -- is provided in facsimile; a second plate -- N. 17, The Sorrowful Planet, has minor loss to a bottom corner. A few of the backing pages have closed tears at the top or bottom of the page near the inner margin; so to do a few of the pasted in texts preceding the plates. The plates are mounted on grey paper, and several of those leaves have closed tears. .Moderate rubbing to the spine and more so to the boards. One of the great examples of 20th century illustration. Very Good binding.